We recorded large numbers of river lampreys spawning / nest building on the River Fergus at Ennis, Co Clare, during April 2015. This section of the River Fergus is part of the Lower River Shannon SAC. The lower River Fergus was severely impacted on by OPW flood schemes over last number of years, but we were delighted by the numbers of river lampreys which were present during April 2015. However, almost all of the lamprey nursery habitat on this stretch of river has been removed by these schemes and the fish pass provided as “mitigation” cannot be used by this species. Water quality is also a pressure on the lower River Fergus. River lampreys are confined to the lower reaches of the river, making the population here very vulnerable. 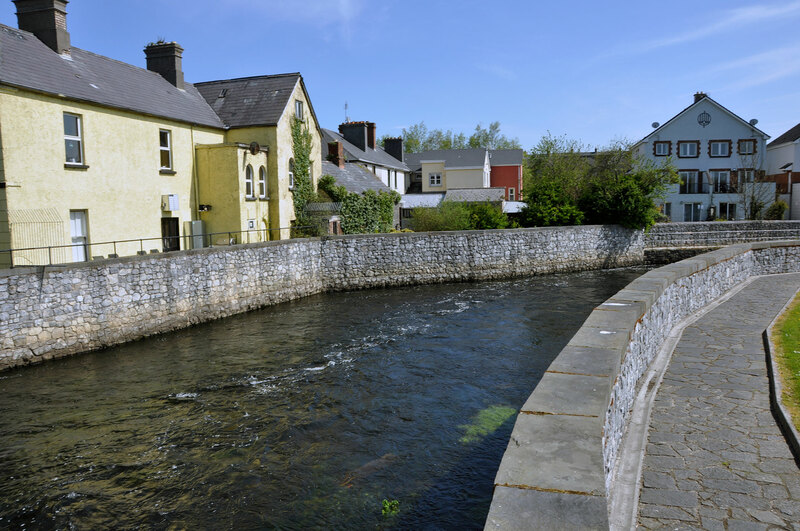 Invasive river walls were installed as part of the River Fergus (Ennis) Drainage schemes. Although the EIS for this scheme committed to having “no instream works”, this was not realised and lampreys and their habitats were severely impacted on by instream works undertaken to build these river walls. Ennis Larinier fish pass. No evidence that this will work for River lampreys, and there are a number of problems in relation to the eel pass provided. River Lamprey Lampetra fluviatilis is listed on Annexes II and V of the EU Habitats Directive and Appendix III of the Bern Convention. The photo gallery below provides a selection of the photos we took during April 2015 of River lampreys spawning on the River Fergus at Ennis, Co Clare. This river is part of the Lower River Shannon SAC. River lampreys are communal spawners, and interestingly in the video below you can see Brook lampreys (much smaller individuals) also getting involved and spawning in the same redds. Click below to watch ‘River lampreys spawning on the River Mulkear, April 2015’ from our YouTube channel. 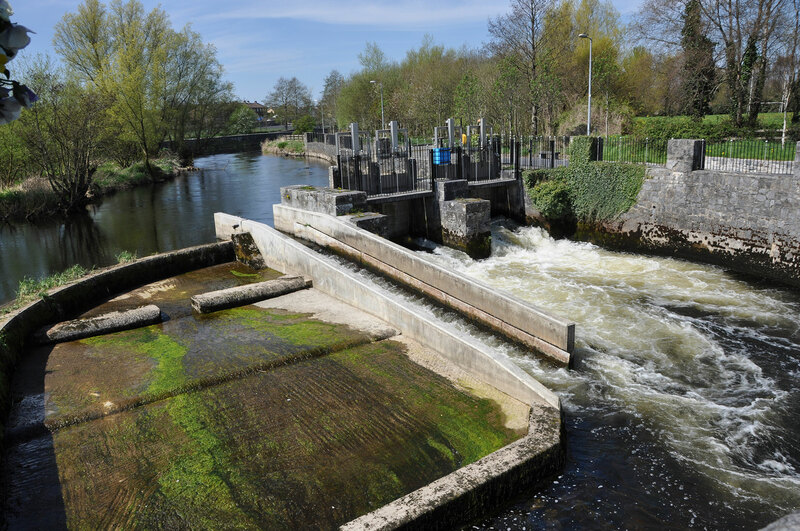 New fish pass in Ennis – enough to mitigate for integrity level damage to SAC? Also see our previous post regarding river lampreys spawning on the River Mulkear.